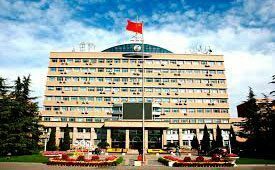 Communication University of China (CUC), located in the east part of Beijing, is one of China’s major universities of “Project 211”, directly under the supervision of the State Ministry of Education. The motto of the CUC is “integrity, professionalism, erudition and competence”. 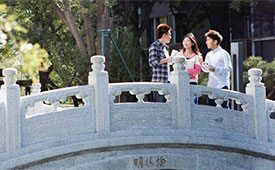 The Communication University of China sticks to its own line of thinking in subject establishment to arrange each teaching course into a scientific structure, focusing on individual features and wide connections with other courses. As a result, an inter-relating and inter-influencing discipline system is formed which covers journalism and communication, radio, film & television arts, information science and technology, literature, engineering, management, law, economics and science. The CUC devotes itself to cultivate advanced and practical talents with multi-subject knowledge and creativity. Since its day of founding, the school has made such a great contribution to the national business of radio and television that it has gained the fames — “a cradle of China’s radio and television talents” and “a well-known university in the field of information communication”. As the academic research center in information communication, the CUC pays enough attention to research work on like what to communicate, how to do it with a creative and high-tech way, and how to give better advisory services for the government and enterprises in decision-making. Looking to the future, the CUC will be guided by the philosophy of “people-oriented, all-round development, feature development, and innovation and development”. The CUC will continue to work hard to realize its target of stepping into the rank of world famous university in media and communication. The CUC has established an exchange and communication relationship with more than 200 renowned foreign universities and scientific research organizations of media. In addition, the CUC is one of the teaching units of Media and Women of the UNESCO, and the host of some international academic institutions like Asian Media Research Center, and European Media Research Center. The events hosted by the school, such as “Forum of Asian media”, “Forum of World Women University Presidents”, “Chinese Communication Forum”, as well as “China (Beijing) International Student Animation Festival” have already become very important platforms for the communication between international academies and industries. International academic exchanges are becoming increasingly frequent. The number of overseas faculty and experts who came for interaction as well as our teachers and students who go aboard to learn is annually increasing. In addition, our overseas education is enjoying a stable development; the proportion of foreign students is also rising. Through persistent efforts over half of a century, the university has developed into a type of teaching and research university having various high leveled categories of subjects and enjoying a unique and exceptional status in the area of tertiary education, renowned as the talent cradle of the Chinese broadcast &TV transmission. Its alumni have covered different areas of the country and over 70 countries and regions, including the United States, Japan, and Australia. Up to now, a large amount of alumni are in key positions, both administratively and technically, of different media industries, including the former and present chief engineers in the three main Radio and TV stations of China, several directors of central and local administration of radio film and television. Among the alumni, there are many famous writers, journalists, broadcasters, TV hosts, film directors, screenwriters, producers, interpreters, and senior experts in engineering.